Colletta Conner leads project management and design in ForrestPerkins’ Dallas office. With over twenty years of experience, Colletta has worked with major brands, including Starwood Hotels & Resorts, Hilton Hotels, Marriott, Wyndham and Boutique independent properties. Her projects include landmark historic hotels such as the Westin St. Francis in San Francisco, The Hermitage Hotel in Nashville, The Sinclair Autograph Collection in Fort Worth, Texas, The Tulsa Club Curio in Tulsa, OK, and The Plaza Hotel in El Paso. She also leads the design of major luxury multi-residential projects. Colletta’s ability to balance highly detailed design with astute project and financial management combine to make her a strong and respected mentor and leader in the firm and a valued collaborator with our clients. Prior to joining ForrestPerkins, Colletta’s journey into Leadership began with serving 8 years in the United States Air Force where she naturally excelled and was recognized as Airman of the Year among 1,500 of her peers. In prior positions Ms. Conner has managed and directed Project Management, staff development, and quality improvement measures in Architecture & Design firms. She has also managed purchasing on many multi million dollar projects throughout her career. Colletta’s dedication to growth and leadership has motivated her to formally pursue a Masters Degree in Organizational Leadership, which she will complete in December 2018. 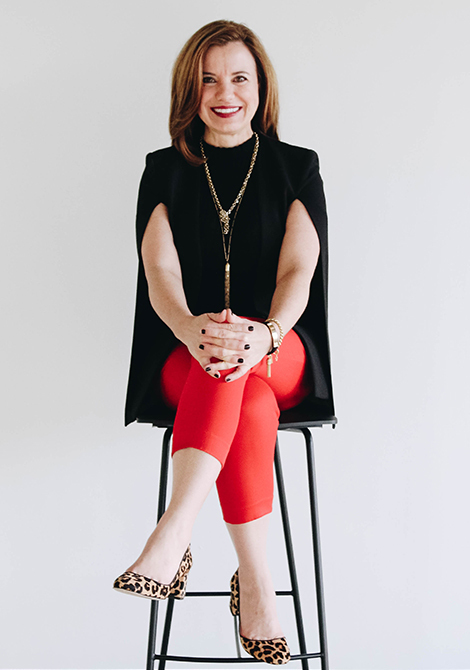 Colletta is an NCIDQ-certified interior designer, licensed in the State of Texas.